Chankaska Creek Ranch and Winery’s new winemaker Mike Drash explains his relocation to Minnesota and his California winemaking experience at the Winter Wine Fest. 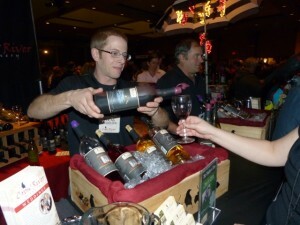 The Cold Climate Conference Winter Wine Fest was a delight for the senses. Fabulous Minnesota wines from all over the state were served alongside delectable bites and samples of food from a wide variety of vendors. 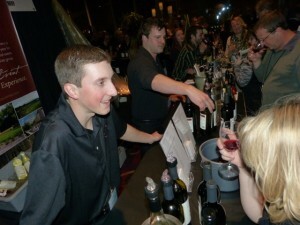 Held on February 21 at the Crowne Plaza in St. Paul, the Winter Wine Fest featured 12 food exhibitors alongside 26 wineries, showcasing the best fruits of their labor. Emily Coleman, owner of Vine Appetit, sampled her jellies made from wine, sugar and pectin. No preservatives are added. The wine flavors Vine Appetit currently offers are Chardonnay, Cabernet Sauvignon, Pink Rosé and Winter Mulled. I got to sample some of their cherry almond jelly, which was combined with mascarpone cheese on a Ritz cracker. Who knew this recipe of jelly, cheese, and a cracker would taste so divine when paired with a crisp Minnesota wine? There were many items to bid on at the Elmer Swenson silent auction. Boxed sets of Riedel wine glasses, award winning bottles of wine packaged in decorative packaging, books on wine, gift certificates from Midwest Brewing, chocolates and more. 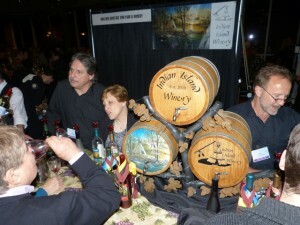 Dave Reedstrom, Meleah Huxford and Russ Winter of Indian Island Winery. 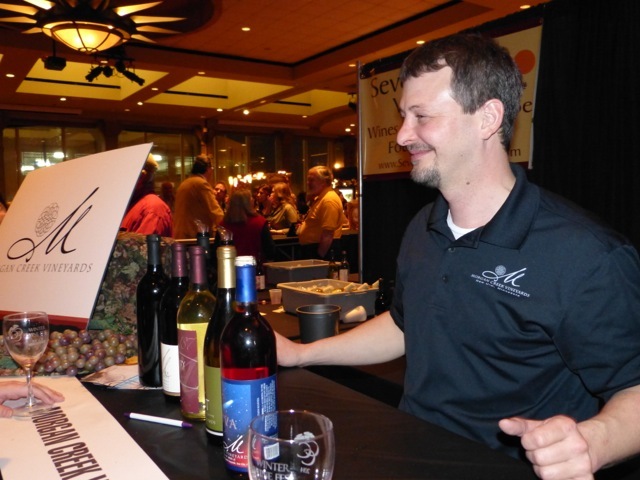 Despite the snow, local restaurants paired Minnesota wines with food inspired by local chefs. Heartland Restaurant, Faces Mears Park, Kincaid’s Restaurant, Pazzaluna Urban Italian Restaurant, and Restaurant 11 all participated in the Winter Wine Out. The local wines that were presented were stellar. Inclued were: Schram Vineyards Marquette; Chankaska Creek’s Kasota Rose; Indian Island’s La Crescent; Painted Prairie Vineyard’s Frontenac; and Sovereign Estate’s La Crescent. At Pazzaluna Urban Italian Restaurant, seared scallops were paired with La Crescent, while Marquette was paired with veal medallions. 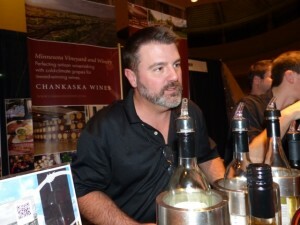 For dessert, Chankaska Creek’s Kasota Rose was paired with a Frangelico Pecan Pie with caramel sauce. 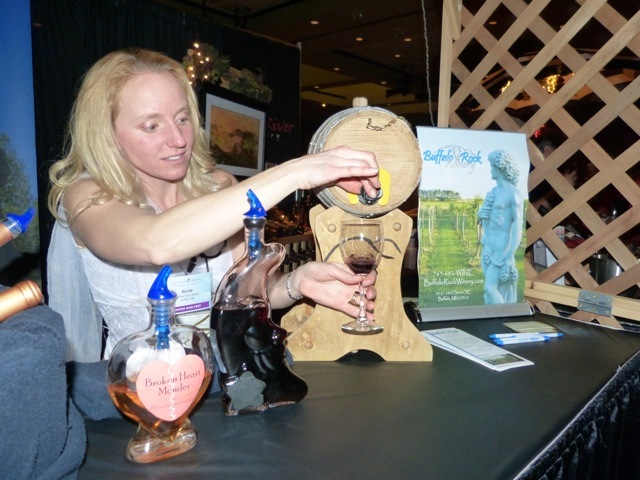 Dressed as a goddess, Nicole Dietman, owner and winemaker of Buffalo Rock Winery sampling her two Port wines. Adam Marti sales manager for Morgan Creek Vineyards located in New Ulm, Minnesota, samples a few of their uniquely named wines. Relativity – a semi sweet white wine and Nova – a semi sweet red. 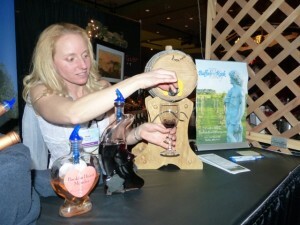 Lucas Gilhousen, winemaker for Crow River Winery located in Hutchinson, Minnesota, pours a sample of South Fork wine. 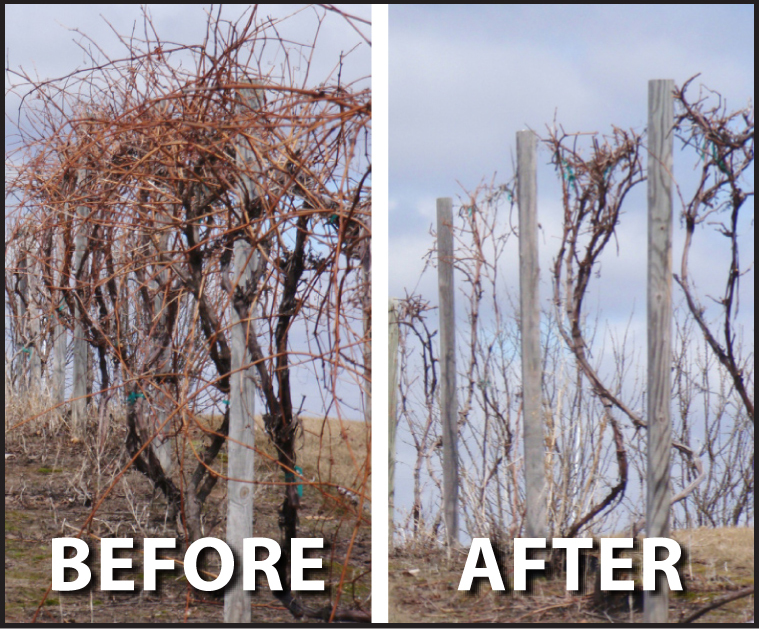 Jameson Lindquist, grounds and viticulture manager of Chankaska Creek Winery, describes the red varietals of Chankaska Creek Winery.